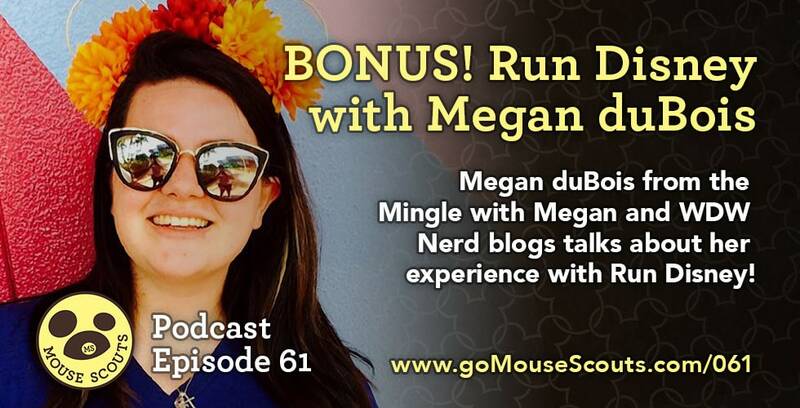 In this bonus episode, we're joined by Megan duBois, from Mingling with Megan and WDW Nerd, and we talk all about Run Disney! Run Disney with Megan duBois! • What got you running? What keeps you going? • Could you talk about your first race (Disney or otherwise) and how you started training? • Do you wear a costume? • What were some of your challenges in training for your first race? • Do you have friends that you run with? • What would you recommend to someone who would like to start running races? • Do you run other marathons than Run Disney? How are they different? • Are Disney races more expensive than other races? • What’s been your favorite Run Disney moment? 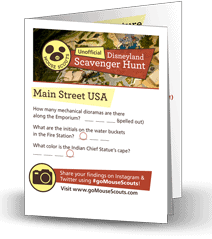 • What’s your favorite park tip? • What’s your favorite bit of Disney life or career inspiration? Something like a quote or a value? • What is one thing in life that has you really excited right now? Get in Touch with Megan duBois! Megan's Etsy Shop where she sells home made Mickey ears, bows, and coffee cup sleeves.